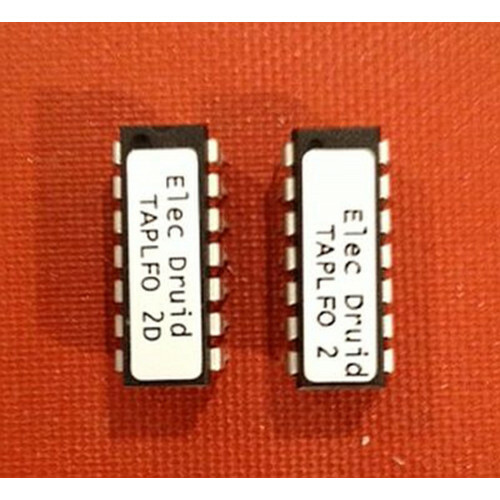 This page describes a cheap clone of the CEM 3312 and SSM 2056 voltage-controlled envelope generator chips. 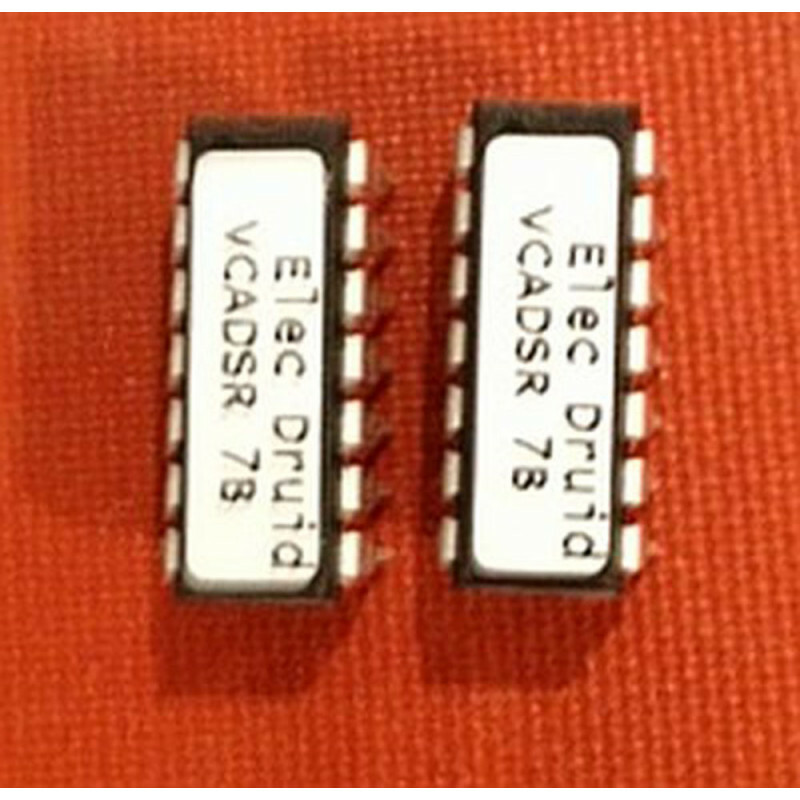 Both of these chips include voltage control of A, D, S and R, but both include other inputs too. The CEM 3312 chip has a input which controls the final envelope output level. This is very handy as a voltage-controlled "envelope depth" when feeding the envelope to a filter, for instance. 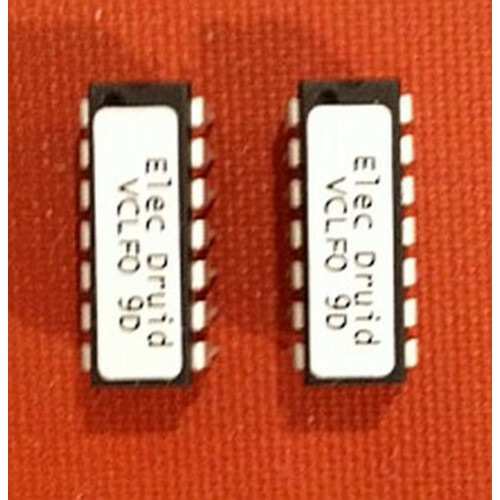 The SSM 2056 chip includes a TIME input which shortens the overall time of the A, D and R stages of the envelope. 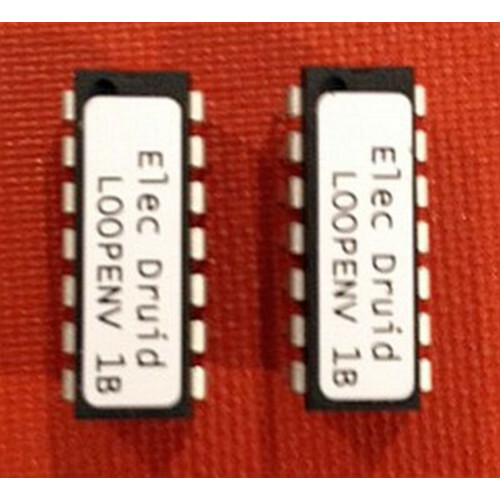 Although this was partly intended as a trim for polyphonic systems, the datasheet for this device suggests that this could be fed the keyboard control voltage in a synthesizer to mimic the way natural percussion instruments typically become less resonant as the pitch gets higher. I managed to include both of these inputs on my VCADSR. 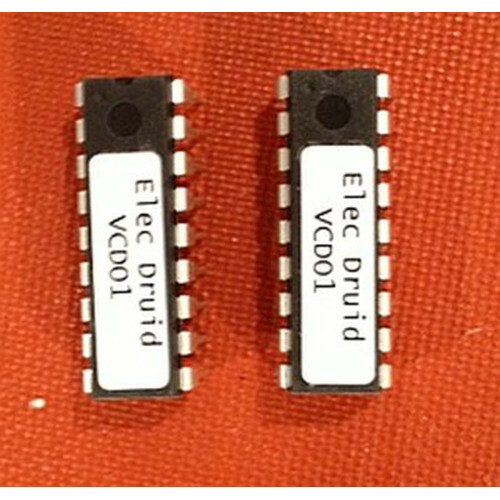 At 0V the TIME CV has no effect, and at 5V the envelope is quickened considerably. Finally, there is a digital input which selects either a 'traditional' exponential envelope shape, or a early-digital-era linear envelope. After this, I had to stop because I ran out of IO pins on the PIC!